I came across this quote and although the author is not known he or she is surely wise. "If our greatest need had been information, God would have sent us an educator. If our greatest need had been technology, God would have sent us a scientist. If our greatest need had been money, God would have sent us an economist. If our greatest need had been pleasure, God would have sent us an entertainer..... but our greatest need was forgiveness, so God sent us a Savior." Yes, God sent us a Savior -- that we might know His forgiveness. But not only that we might know it. 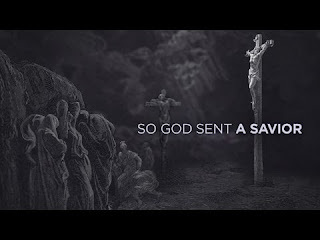 God sent us a Savior so that we, who have been given the privilege of this knowledge, might go and share the good news of His forgiveness with all the world! Let's cherish His forgiveness today. Let's revel in it and let all who don't know that they can have the same! Dear Lord, we thank You that You sent Your Son so we may be forgiven for the many sins we are guilty of. Help us to always be thankful for that.